It’s Tuesday, which means we’re spinning new music all day long here on Missoula’s favorite radio station! Tune in for a chance to check out the latest hits from artists you’ve already grown to love – and from artists you love but just haven’t yet realized it yet. OK, so maybe that’s a bit presumptive. But with all sincerity we do hope you take some time to check out some of these newer artists because, well, one day you can tell your friends that you were into them befor e they hit the mainstream. And there’s no better way to earn cool points than that! 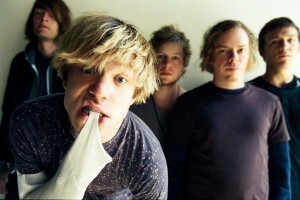 –Cage the Elephant: Another one from the Kentucky alternative group’s fourth studio album, Tell Me I’m Pretty. Read the Consequence of Sound’s review here. –The Rebel Light: A track from the indie rock’s new EP, A Hundred Summer Days. NME described this So Cal band as the “Beach Boys colliding with The Doors” and we certainly understand why: Byrds-style guitar riffs, ’60s-era vocal harmonies, plus an endless summer vibe. –Ryley Walker: From the Illinois singer-songwriter’s new eight-track LP, Golden Songs That Have Been Sung. Due Aug. 19, the followup to Primrose Green was cut in Chicago with the help of Wilco multi-instrumentalist LeRoy Bach. 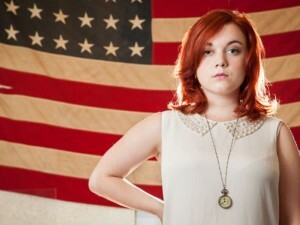 –Lydia Loveless: A cut from the alt-country singer-songwriter’s upcoming album, REAL. You might remember Loveless from her performance last year at the Top Hat during the subsequent screening of the documentary about her and her musical family. Album due Aug. 19. –Blood Orange: A track from the artist formerly known as Lightspeed Champion’s new album, Freetown Sound, released in June. As usual, big thanks to Rockin’ Rudy’s for sponsoring New Tracks on the Trail. Most of these albums can be picked up there this week at a discounted price, so be sure to make plans to stop by!